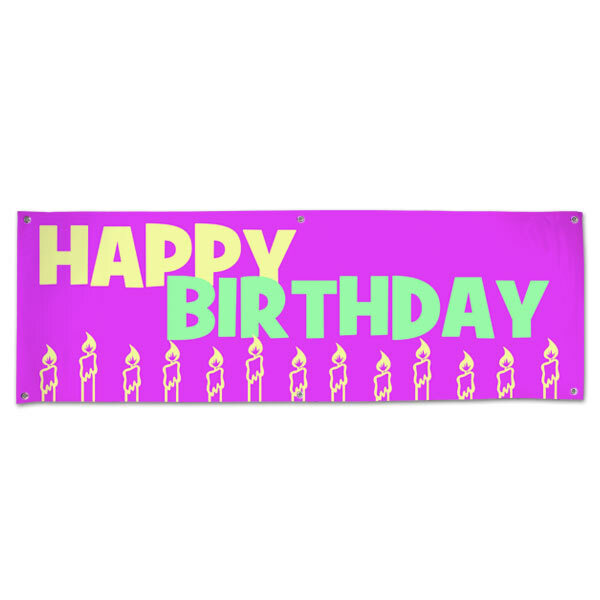 Our pink birthday banner is perfect Mom's birthday, daughters, aunts, and grandmothers alike! Just hang it using the metal grommets either indoors or outdoors to add a colorful touch to the festivities. With our pre-printed vinyl banners, no customization is involved. Just select a size and place your order! 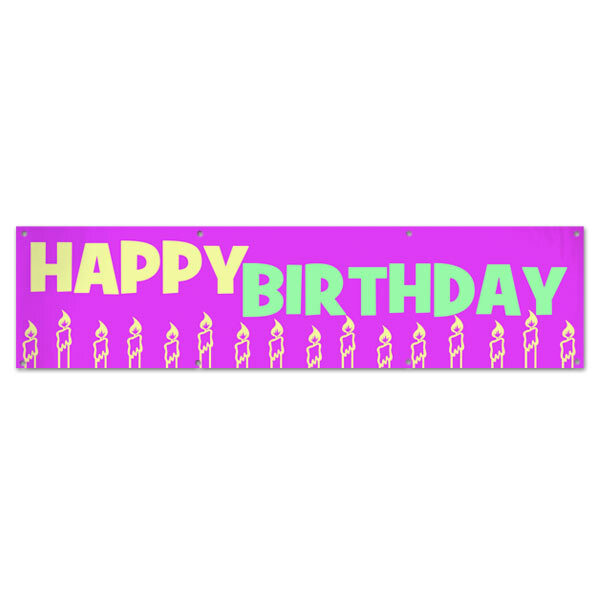 Looking for custom birthday banners with photo layouts instead? 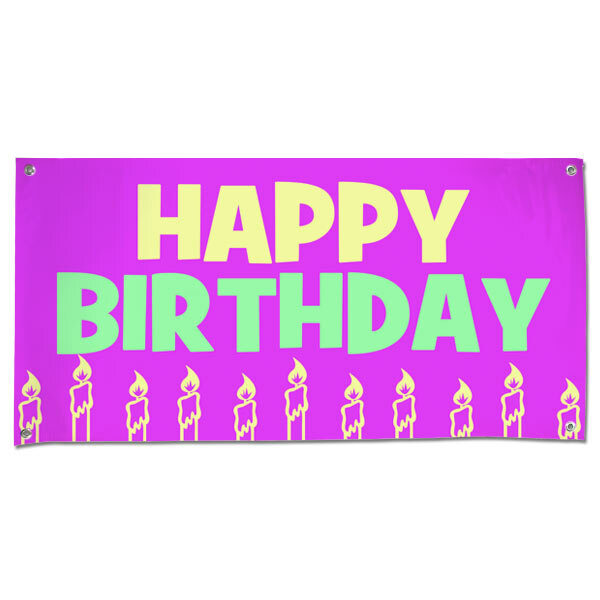 Our custom printed vinyl banners are available in a range of templates that you can personalize with photos and text for any upcoming birthday celebration.